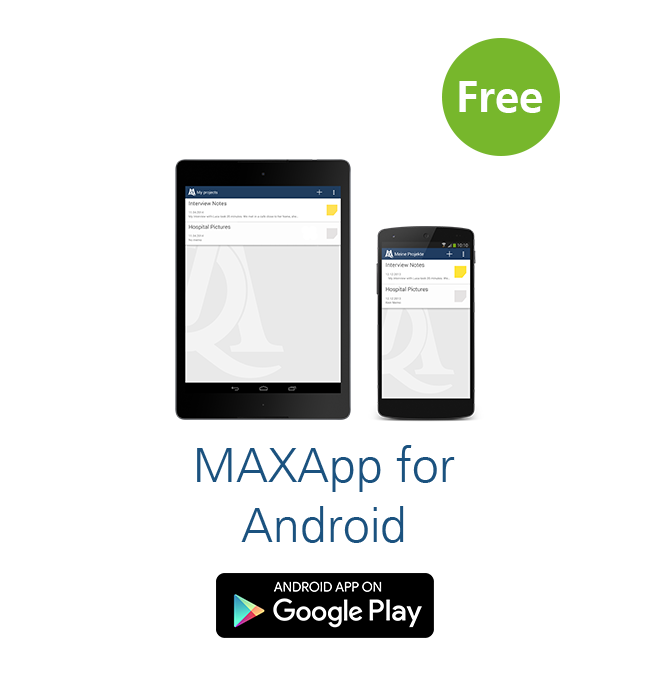 MAXApp for Android is the perfect MAXQDA companion for your tablet and smartphone! 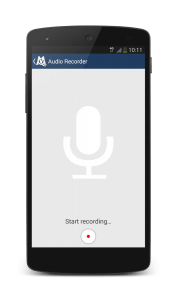 Perfect for field work, the app allows you to take notes, take or import photos and videos, and record audio. 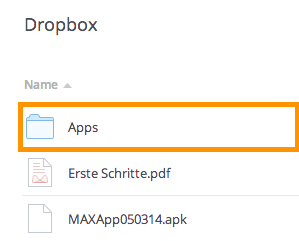 All of your data can be effortlessly coded and structured in MAXApp and then imported to MAXQDA via Dropbox. The first step you need to do is to create a MAXApp project. 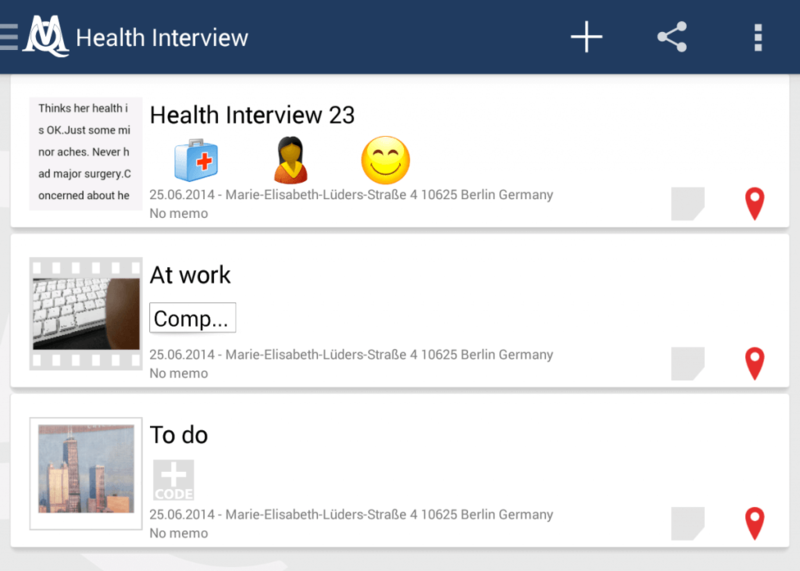 See how easy it is to start working with MAXApp. 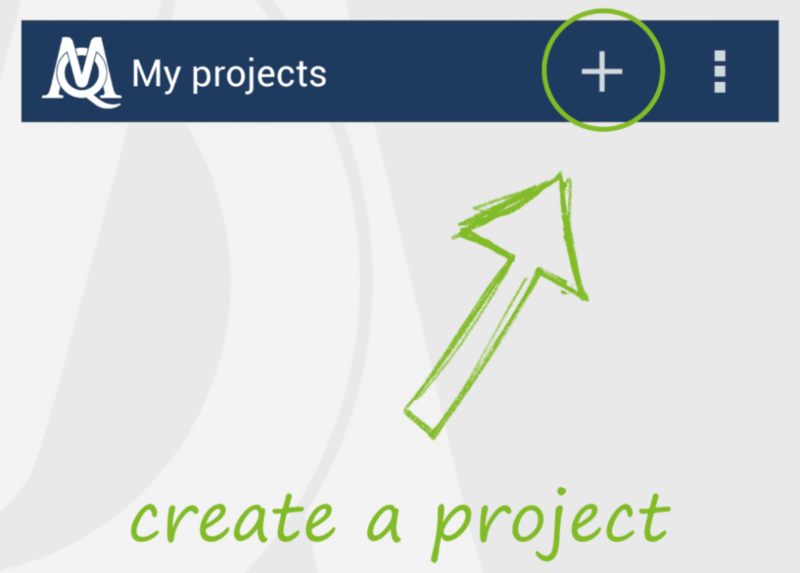 Click + to create a new project. Create or open your data by selecting one of the presented options. Now enter a name for your document. 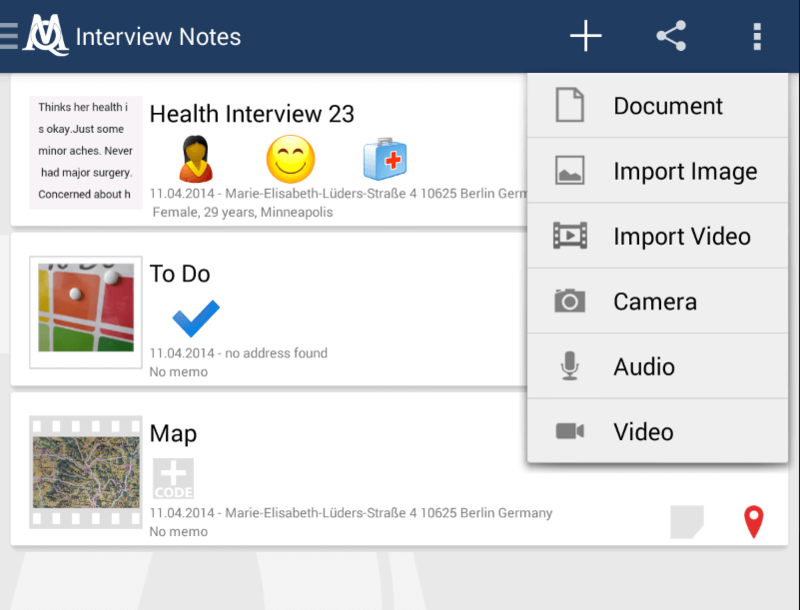 All of your documents are displayed in a list. 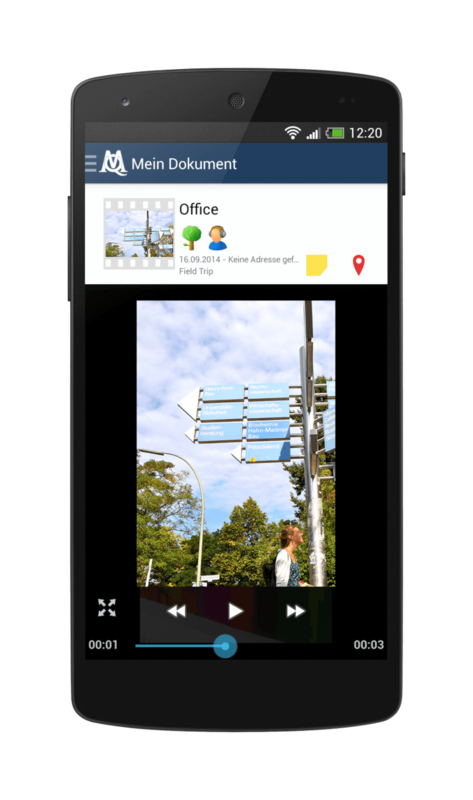 With MAXApp you can work with four different types of documents: Text documents, pictures (taken with camera or imported from gallery), videos (recorded or imported from gallery) and audio (recorded). 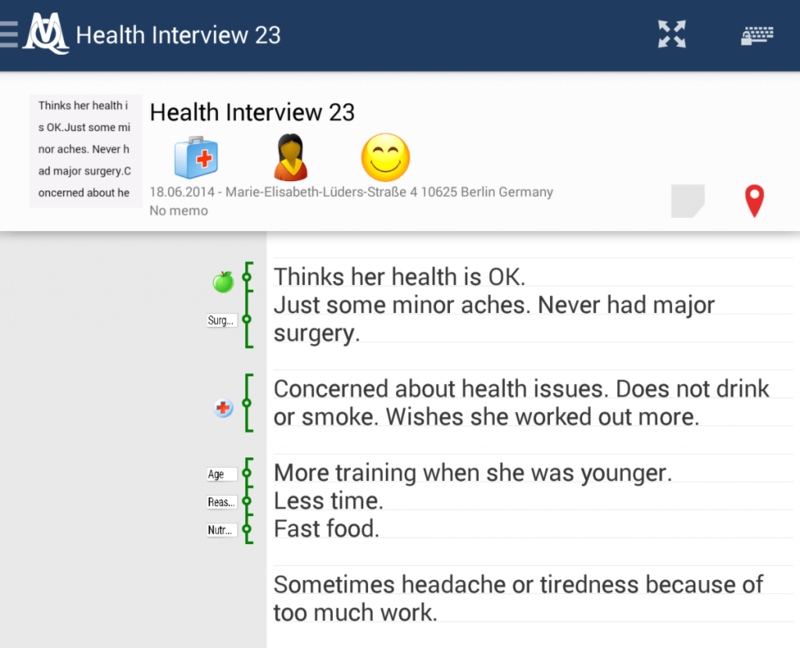 Code your data with MAXApp: Texts, pictures, videos and audios. 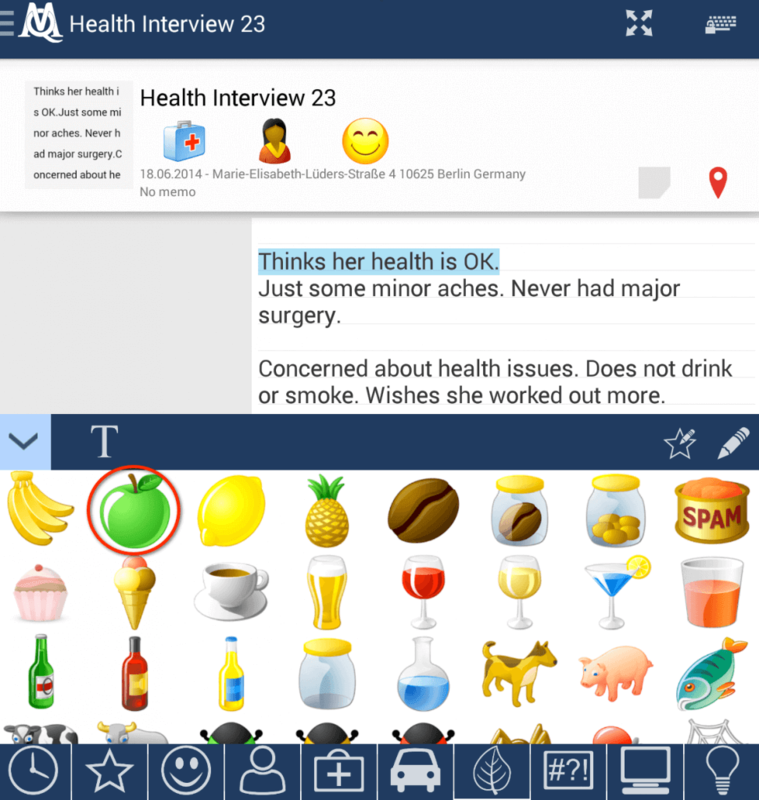 You can code text segments within your texts, while pictures, videos and audios are to be coded completely by using emoticodes or self-created text codes. 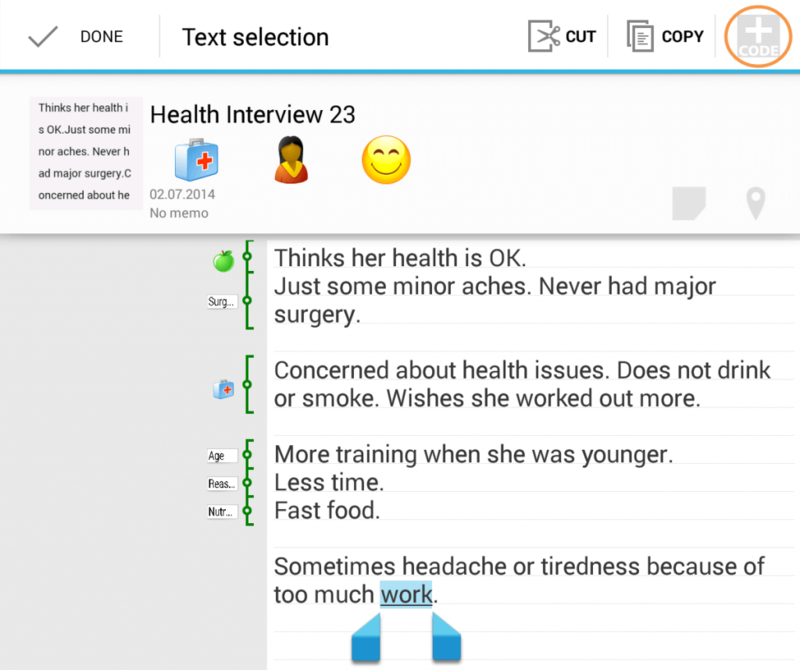 Open a text document which you want to code. Double-click into the field and select the segment, you want to code. Click + CODE to open the code browser. The code browser has two views: The emoticode browser and the text code browser. Here you see the emoticode browser. Click to open the text code browser. Enter the name of your text code into the new window and assign it to the selected text segment by clicking on “+”. 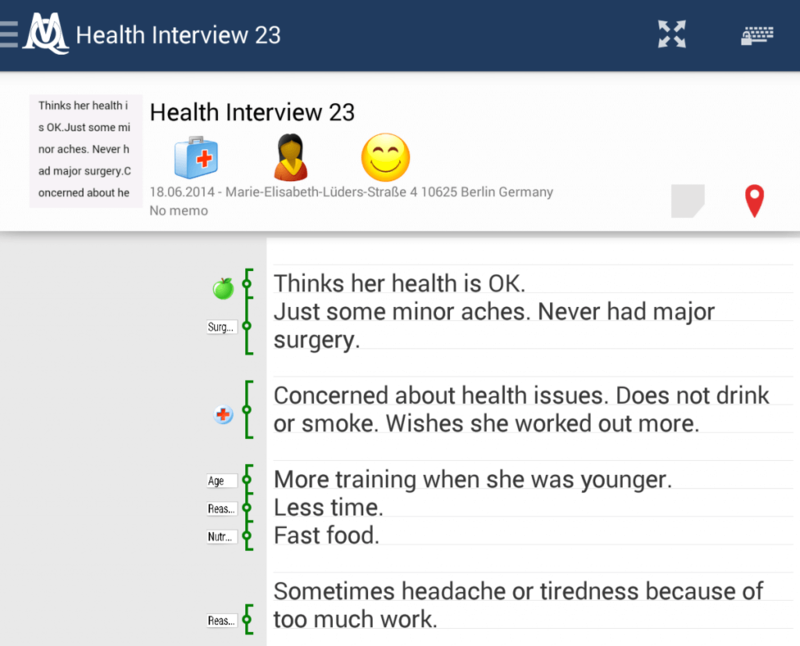 In this example we want to code a part of the text with an apple emoticode. 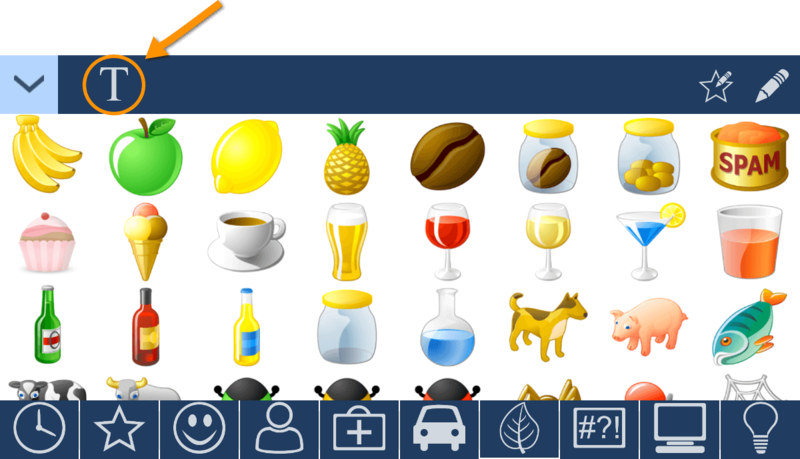 Therefore we mark the segment, open the emoticode browser and select the apple symbol. 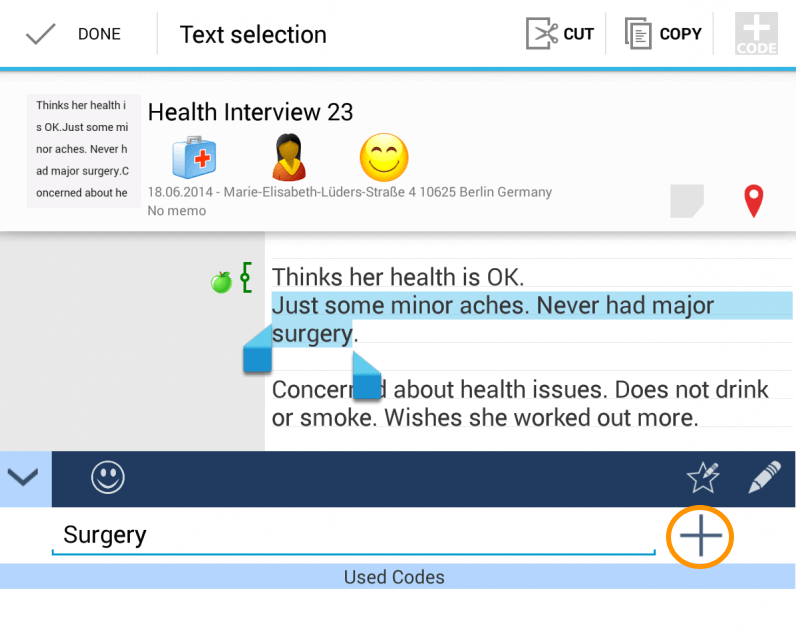 We want to code another segment with a new text code: “Surgery”. We select the segment, open the text code browser, enter the new text code and use it directly by clicking the “+” icon. To use already existing text codes, first mark the text segment, which you want to code and open the text code browser. 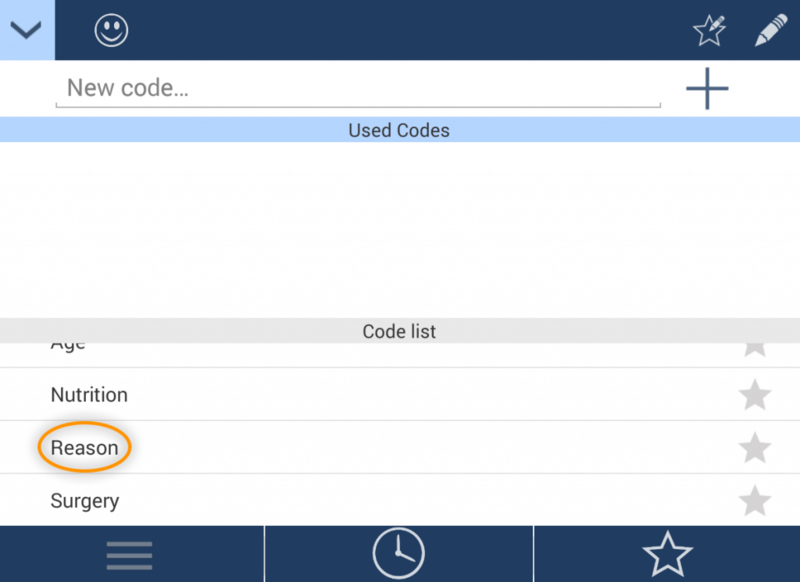 Choose one of the codes in your Code list, to assign it to the pre-selected text segment. The text segment is now coded. 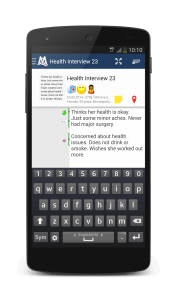 Every type of document can be coded as a whole with a text code or emoticode. To code a whole document, click the + CODE icon next to the name of your document. This coding process works exactly like the coding of segments. 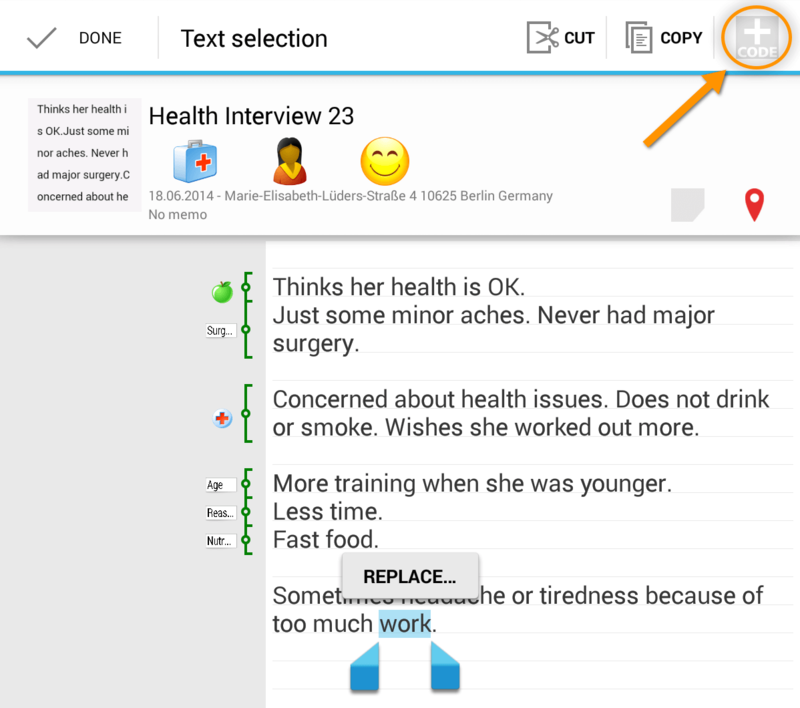 You can use emoticodes or text codes to code the whole document. The codes are displayed underneath the document’s name. The great advantage: All codes can also be viewed in the document browser. Open the code list to manage your codes. There are three different views. 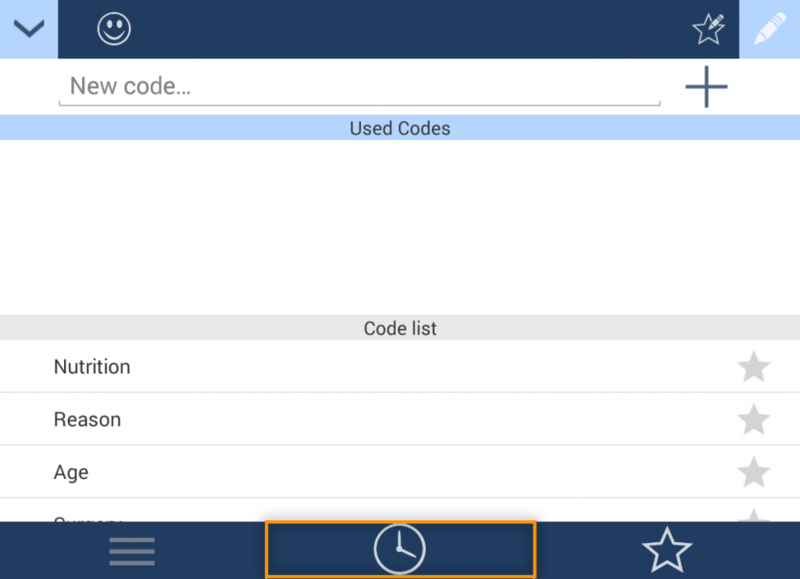 The standard view shows all of the codes you have created in this project. If you want to view your last used codes, click the clock icon. The star icon shows those codes, which you have marked as favorite. You can delete codes by clicking in your Code list and then selecting a code, you want to delete. 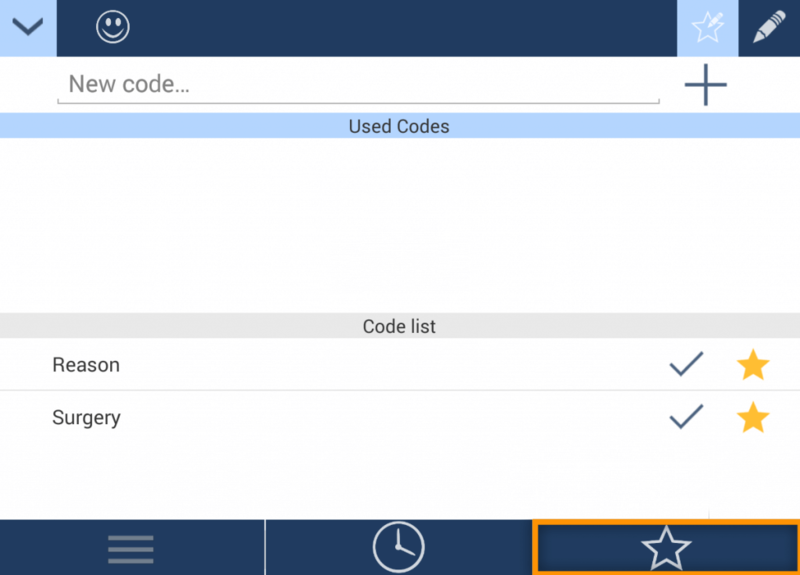 You can mark codes which you want to use frequently as favorite to save time during the coding process. 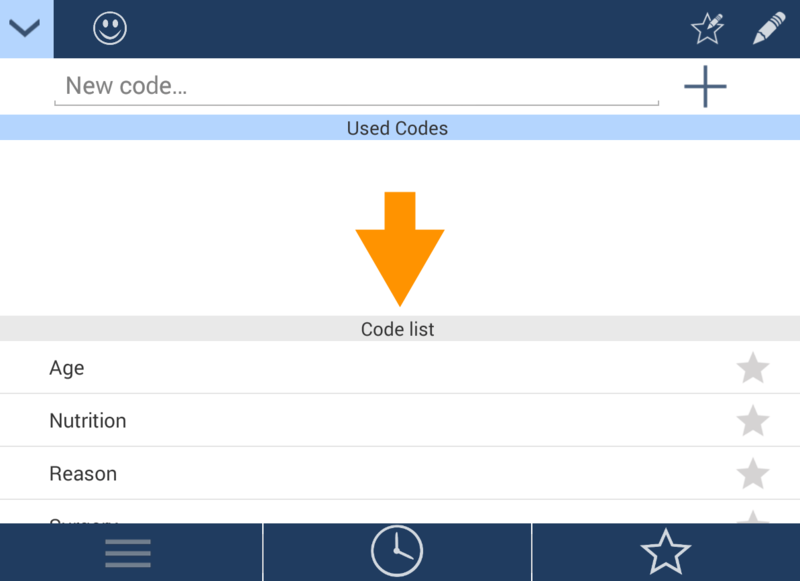 To mark a code as favorite, click within the code menu and then choose all codes, which you want to mark as favorite. The star next to your new favorite code will change its color from grey to yellow. Important information, suggestions and ideas concerning your projects or documents can be written down in a memo. 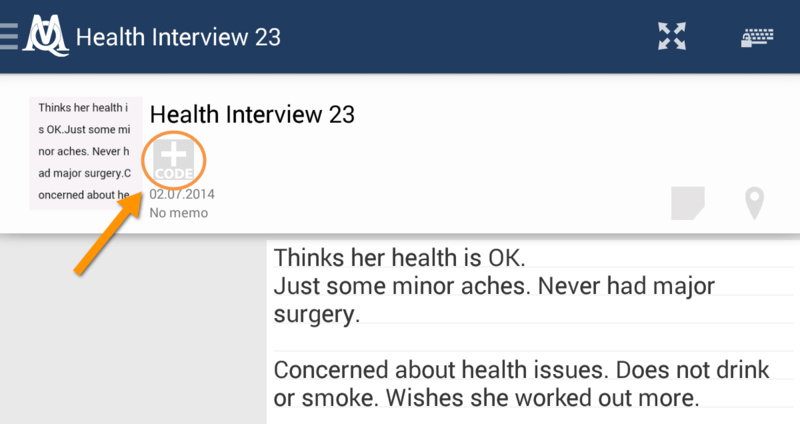 Click the memo icon in your project or document list to add or edit a memo. Enter or edit the text and then save by clicking the check mark. The memo icon changes its color into yellow to indicate an existing memo. Double-click on it to view the content. To delete a memo, open it and click on the trash icon. 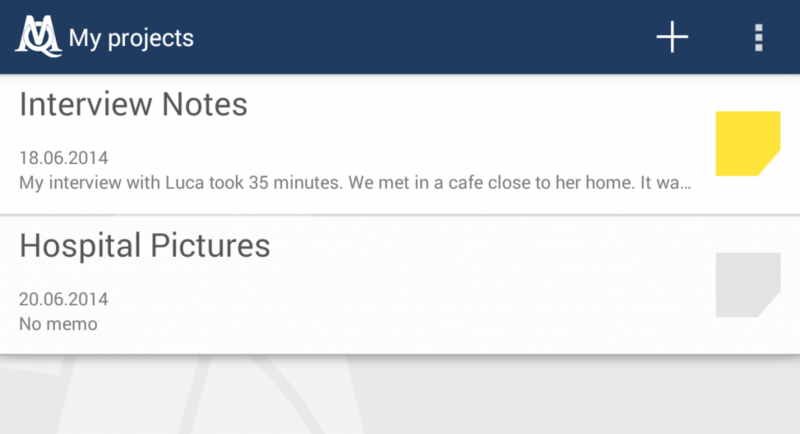 Geolinks – MAXApp connects your documents automatically with your current location, if you haven’t deactivated this function in the settings. The icon will change its color into red when a location is defined. Additionally the address is shown beneath the document’s title. Click the location icon to view, edit or delete the location of a document. If you want to edit the location, keep pressing the location icon on the map and move it with your finger. Alternatively you can search for a location with the search box above. To choose your current location use the encircled icon. Zoom in or out the map with the help of the zoom button. If you want to delete a location, just use the trash and submit with Delete. 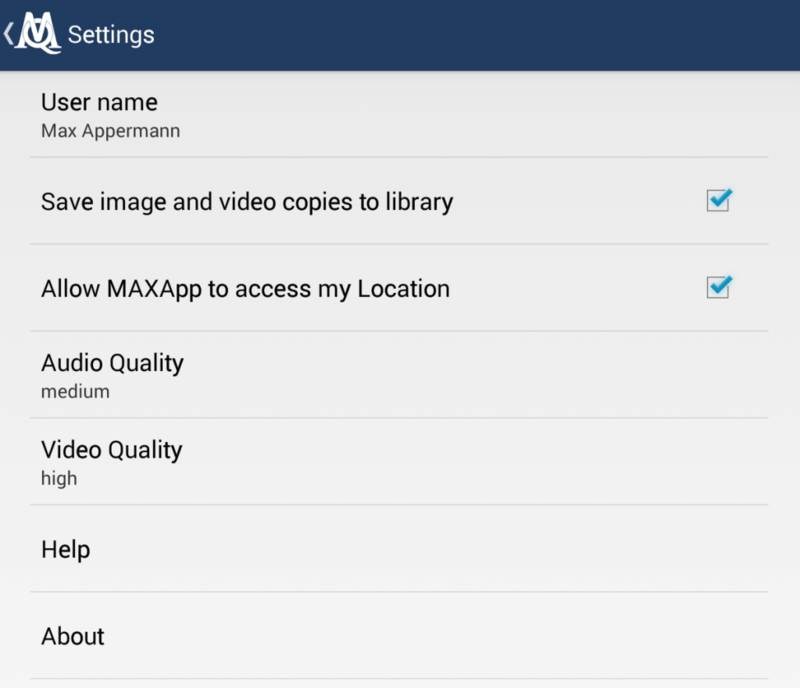 Open the MAXApp settings by clicking the settings icon. 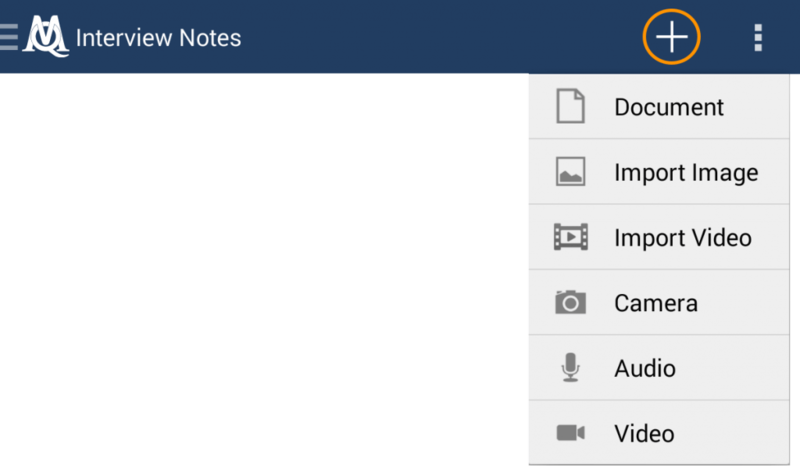 Here you can edit your user name, determine the quality of your videos and audios, choose if your pictures and videos should be saved to your library and if MAXApp is allowed to access your location. Your data can be transferred to your computer and imported into MAXQDA in two different ways. 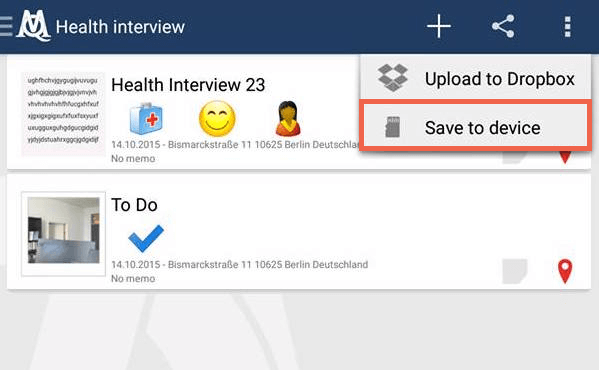 You can either use the Dropbox or save your data to your Android device. 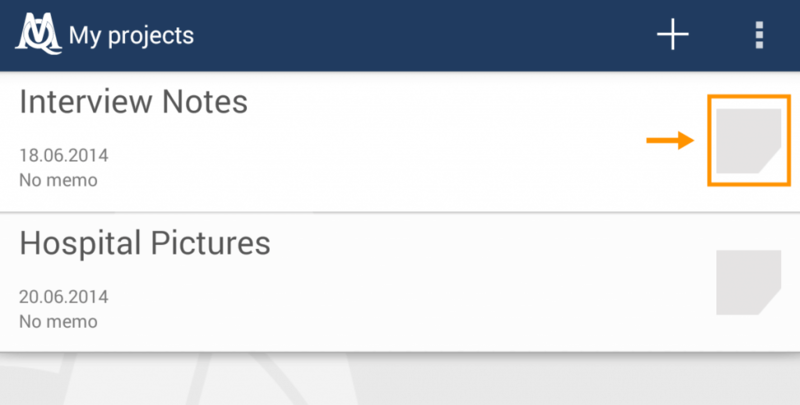 You can save your MAXApp data to your Android device to transfer them to your computer later. 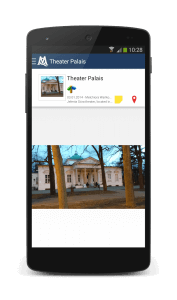 Open a project and click the “share”-button to Save to device. 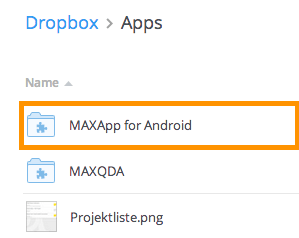 You will find your project with all data in these folders on your device: Local/MAXQDA. Now you can transfer your project with an USB cable to your computer where it can be saved and then imported into MAXQDA. Now import your saved data from your computer to MAXQDA. 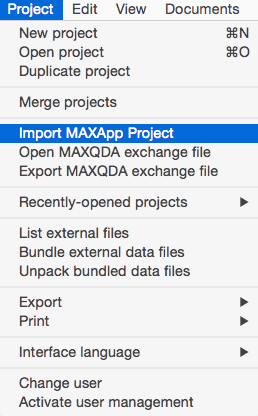 To do so, open MAXQDA and choose the option Import MAXApp Project. In the folder of your MAXApp project you will find an .xml-file. This is the file you need to import so that all the documents with their corresponding codes, memos and locations are imported into MAXQDA. 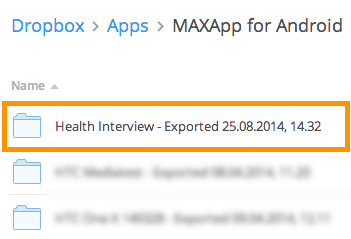 Your MAXApp documents and codes can now be viewed and further analysed in MAXQDA.